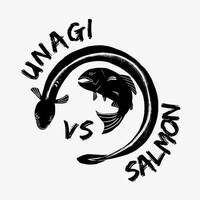 Bringing healthy eating to the Central Business District, Unagi VS Salmon serves up poke bowls in Icon Village. Their highlight is a customisable grain bowl wherein customers can select a base from options including brown rice, salad, soba, and more to pair with a choice of fresh Norwegian salmon or unagi in various styles. The Japanese fusion eatery also features classic sides such as maki rolls, miso soup, and tamagoyaki among others.